Members of the film fraternity attended a prayer meet of noted music composer Ravindra Jain, who passed away on October 9. The prayer meet was held on Wednesday, October 14, in Mumbai. 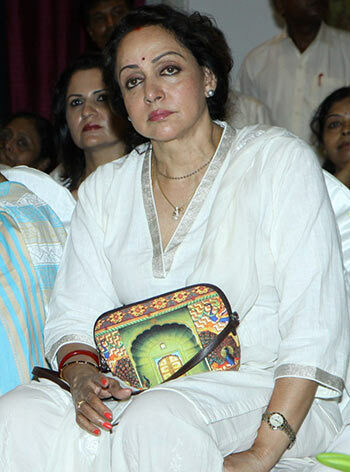 Hema Malini grieves with the family, Ravindra Jain's wife Divya (in white) and son Aayushman. 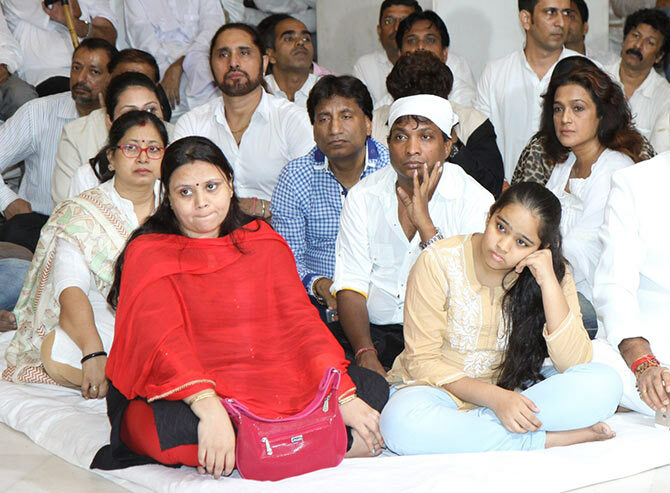 The actress spoke at the prayer meet as well. 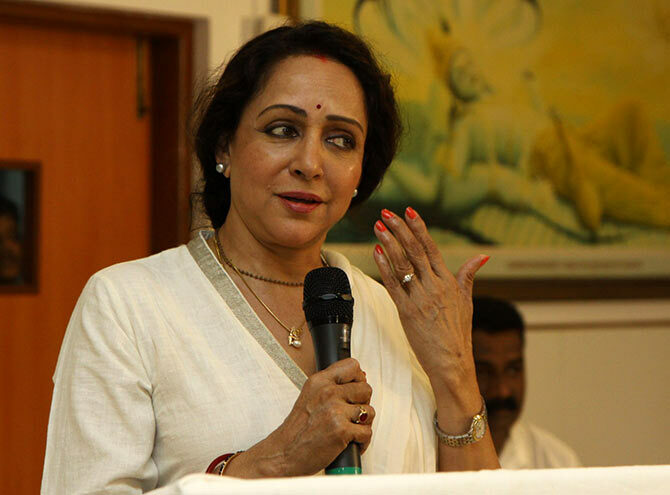 Hema Malini has maintained a close relationship with the composer, as he used to make music for her dance performances. Click here to read her rich tribute. 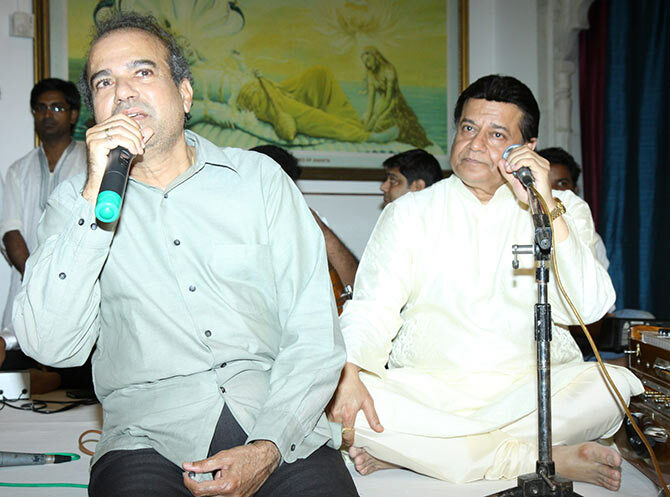 Singers Sudesh Wadkar and Anup Jalota perform. 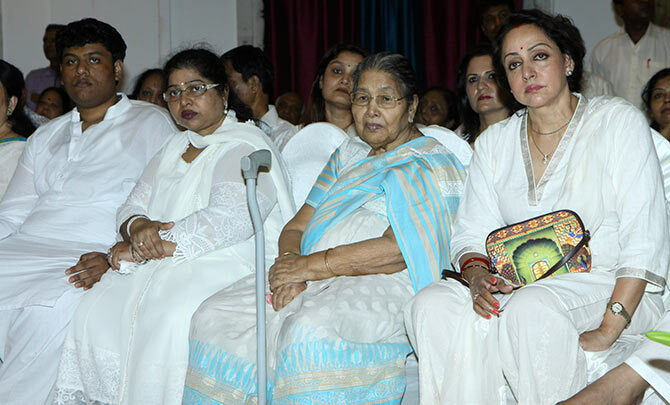 Singer Udit Narayana sits with the mourners. 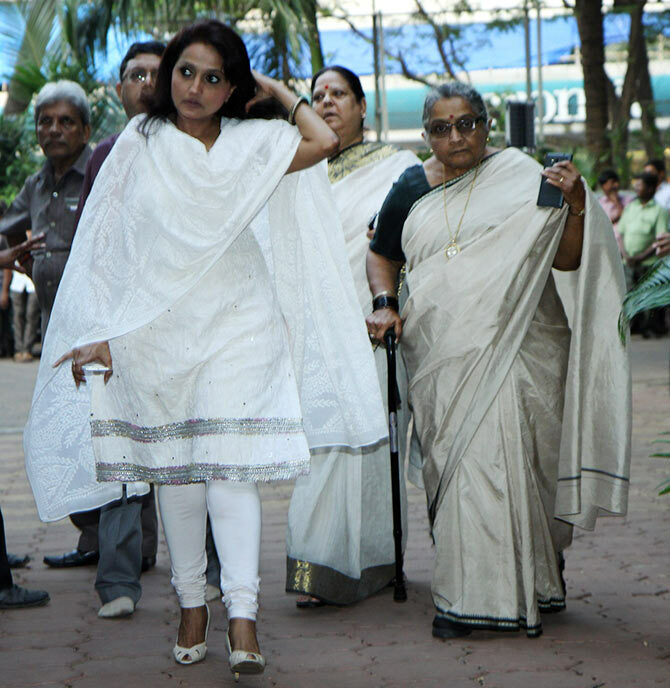 Pandit Jasraj's daughter Durga and wife Madhura arrive. 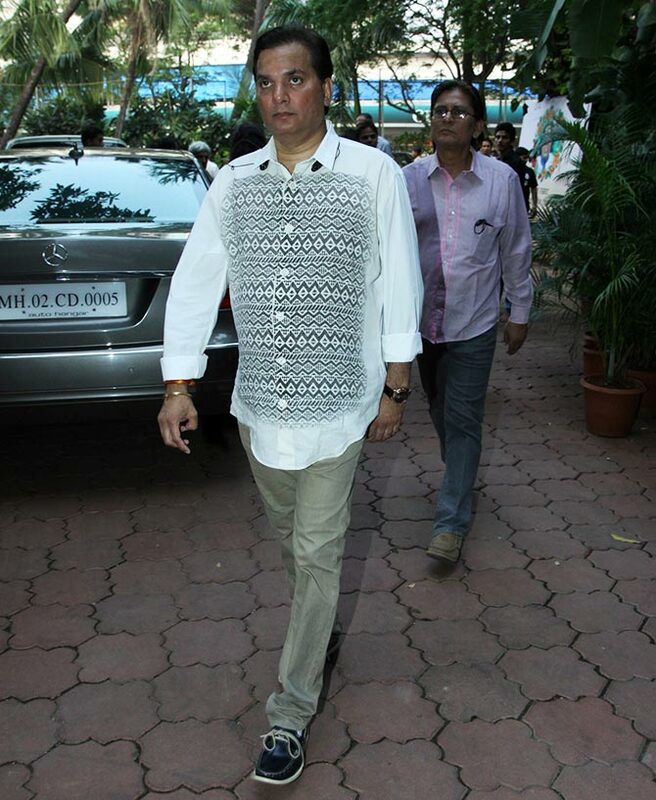 Lalit Pandit of the Jatin-Lalit musical team arrives. 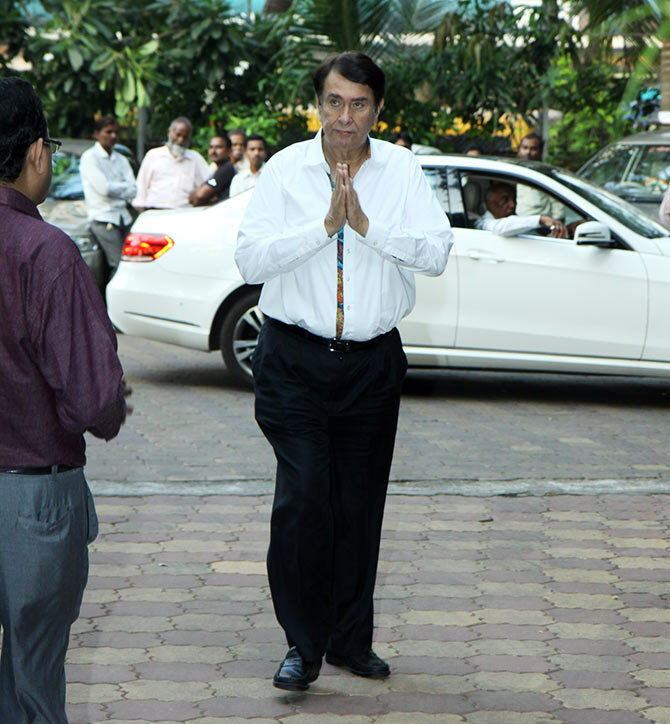 Stand-up comedians Raju Srivastav -- with wife Shikha -- and Sunil Pal pay their respects. 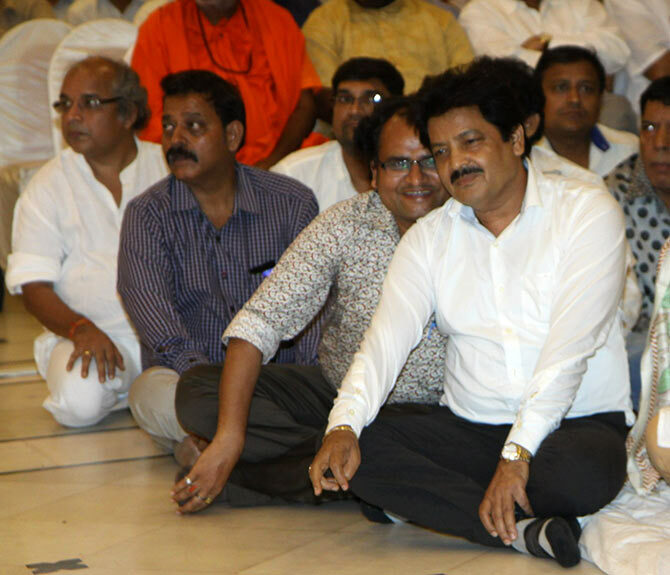 Singer Parvati Khan sits next to Sunil Pal. 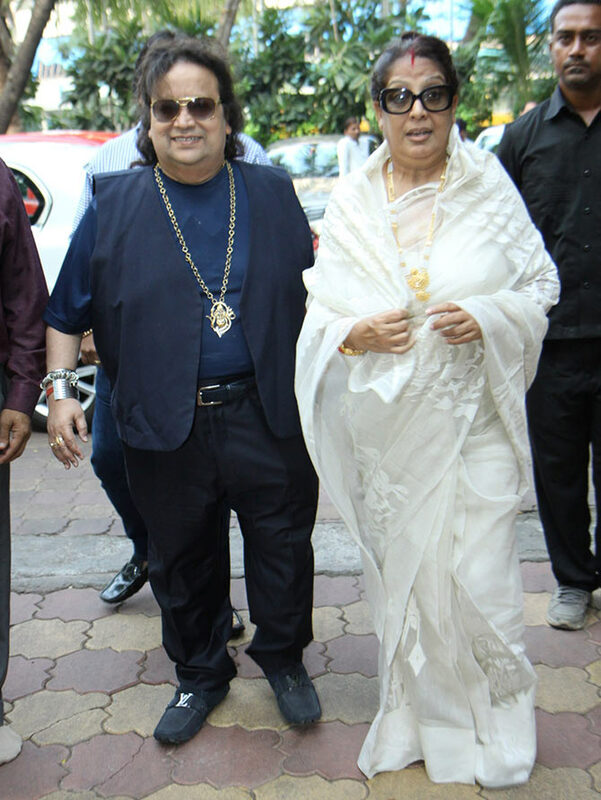 Bappi Lahiri arrives with wife Chitrani. 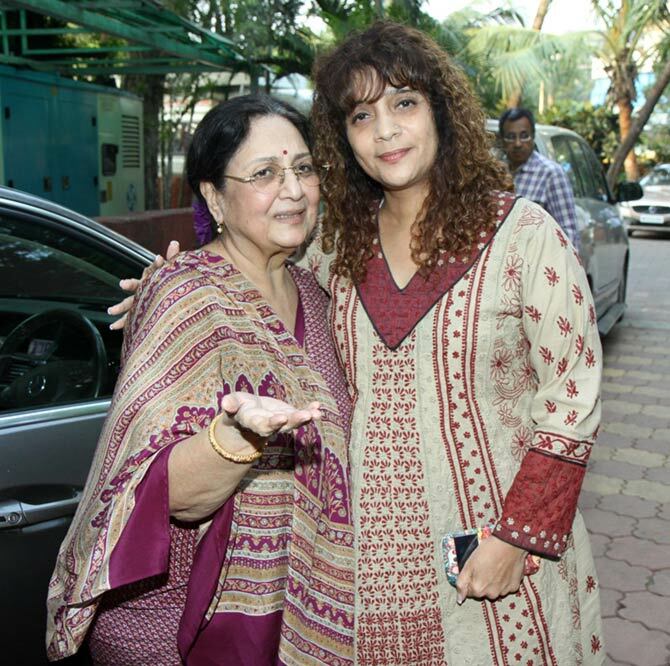 Veteran actress Tabassum catches up with ghazal singer Penaz Masani. 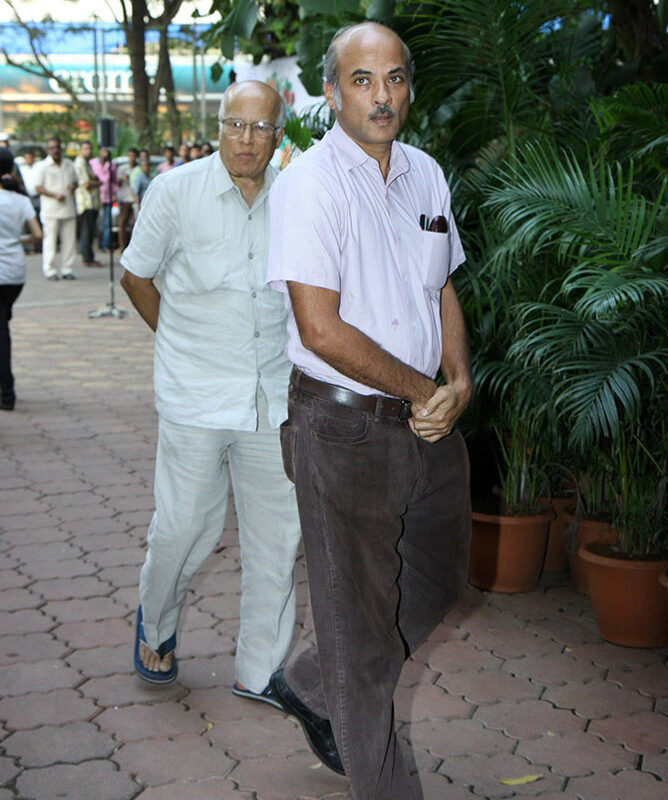 Sooraj Barjatya takes a break from his upcoming film Prem Ratan Dhan Payo and attends the prayer meet with his father Raj Kumar.